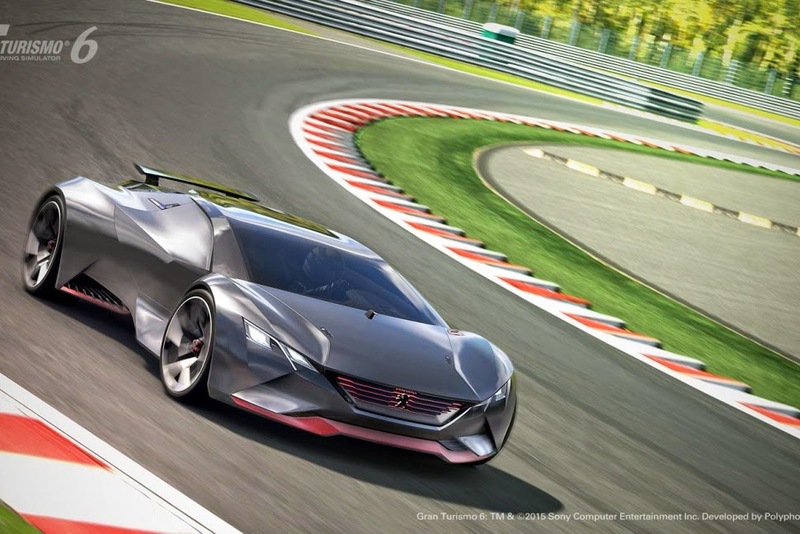 Peugeot eventually uncover the new supercar concept form entirely, named the 'Peugeot Vision Gran Turismo'. This car was exclusively developed for the Gran Turismo 6 racing game on PlayStation 3. 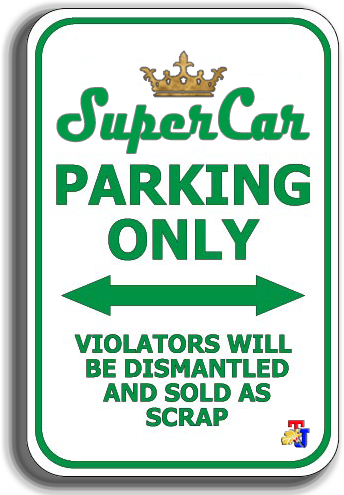 After circulating several teaser pictures in the recent weeks, this supercar finally display a form with a slim body is only 1.04 meters tall. 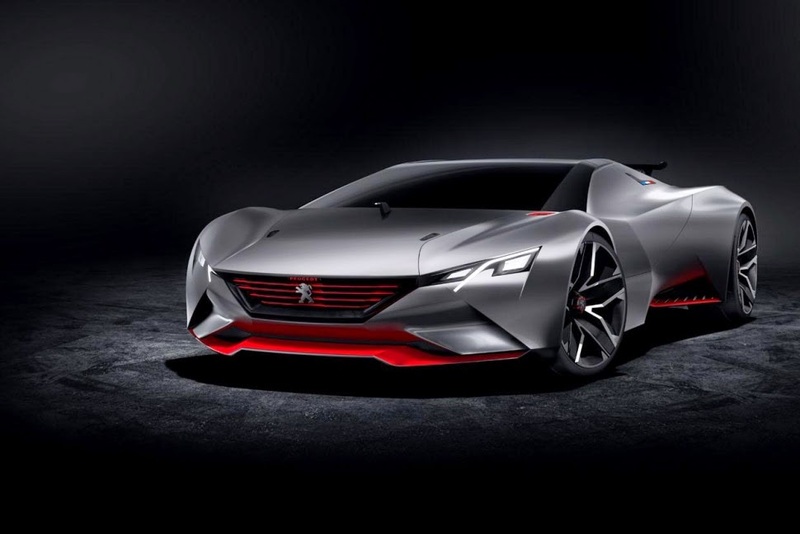 Gilles Vidal, Peugeot Design Director at the same time the creator of this concept car, says that this concept does not have the additional aerodynamic features, because he thinks the existing body shape "is enough to make the car glued to the road". The front end is characterized by a pair of sharp headlights and a four-slat grille with a large Peugeot emblem, while the back end gets a spoiler that automatically extends, huge twin air vents that direct air away from the engine compartment and the automaker’s signature claw-shaped tail lamps. The concept car uses a mid-mounted 3.2-liter V6 engine that uses a pair of large turbochargers which is capable of delivering up to 875 hp of digital power to all wheels through a 6-speed manual transmission. 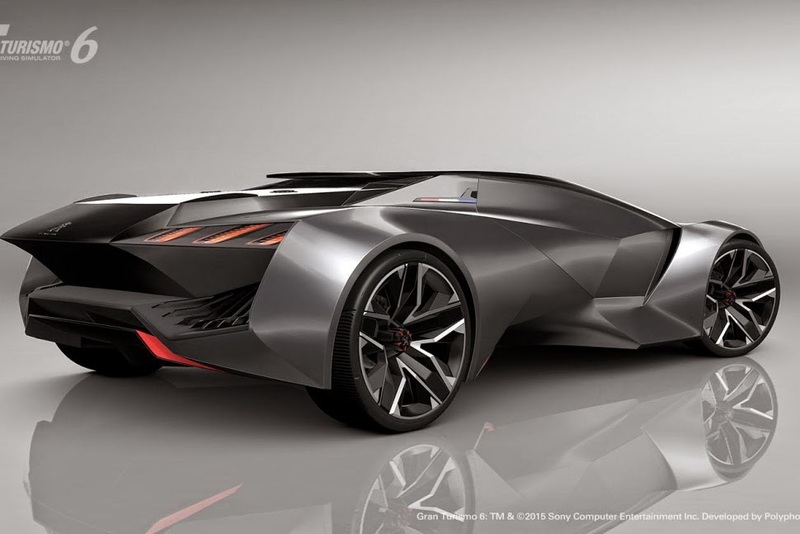 Amazingly this car weighs only 875 kg (1,929 lbs), and make Peugeot Vision Gran Turismo have power and weight ratio is 1:1. 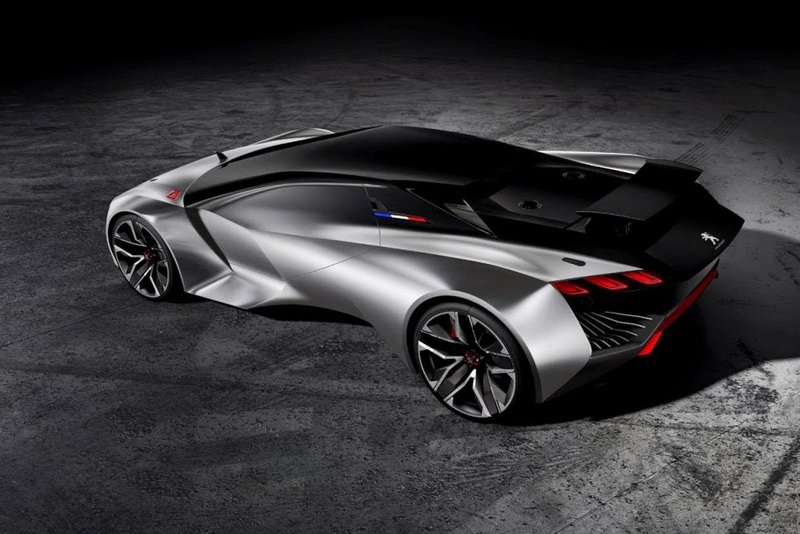 Peugeot Vision Gran Turismo rides on center-locking 22-inch alloy wheels up front and 23-inch units out back, backed by Brembo's ventilated carbon brakes measuring 380 mm in front and 337 mm at the rear. Acceleration capability is claimed to reach 0-100 km/h (62 mph) in 1.73 seconds, a figure that makes it the fastest Peugeot ever built.